A MUSLIM policeman has been shot dead while guarding a Serbian Orthodox church in a Muslim-dominated village near the Bosnian capital Sarajevo, say local religious leaders who have condemned the killing. “This is a monstrous crime. This is an attack against humanity, against civilisation, against the state, but also against places of warship,” Boris Kozemjakin, a local Jewish leader, told reporters as he came to the scene of the crime with Muslim, Catholic and Orthodox Christian religious leaders. 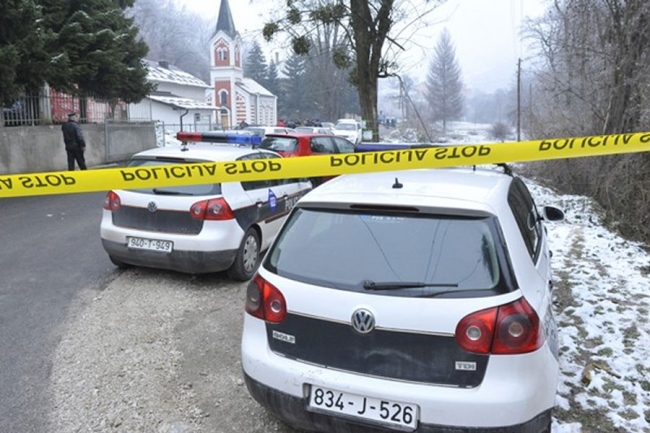 Muhidin Pivodic, a Muslim, was shot dead overnight while sitting in a police car in front of the Serbian Orthodox church in the village of Reljevo, near Sarajevo. The police officer was charged with protecting the church, which in the past had come under automatic weapons fire and been vandalised. “The policeman was killed by several bullets, probably by an automatic weapon,” police spokesman Irfan Nefic told AFP. Police have opened a probe into the murder, but refused to label it an attack against the church. Attacks on religious sites are relatively common in the country, which has remained deeply divided along ethnic lines since its 1992-1995 war. “At the moment we do not know the killer’s motive and should avoid speculation. But the man who was there to prevent (inter-ethnic) incidents was killed,” said local Catholic Church official Mato Zovkic. Relations among the three main communities in Bosnia – Catholic Croats, Muslims and Orthodox Christian Serbs – remain strained 17 years after the conflict that left some 100,000 people dead. The Inter-religious Council, a non-governmental organisation that promotes dialogue among different groups, counted 27 attacks against religious sites in 2012, a 50 per cent decrease from 2011.